Medical University of Bialystok. The usefulness of the virtual patient program in the nursing care of patients with anaphylactic shock – case report. Anaphylactic shock is a life-threatening condition characterized by a severe and rapid course causing disorders in the digestive, cardiovascular and respiratory systems. The paper presents a virtual patient program. It allows to analyze each phase of the shock safely, which is often impossible in the real situation due to the fast and progressive course. Right actions and proper patterns of care by nursing staff will help to reduce the risk of death and increase the quality of care. The multidisciplinary clinical simulations are an important part of the educational strategy in nursing. High-fidelity simulations are generated by data based on scientific evidence in order to reflect the physiology and pathology of the human living organism . Highly useful type of simulation is called virtual reality, which is used to study specific tasks and behavior in a given situation. Students can conduct a clinical test on a virtual patient, while implementing appropriate algorithm . Simulations play a special role in emergency medicine, in which the main factor is the time. According to the European Academy of Allergology and Clinical Immunology (EAACI), anaphylaxis is a severe, life-threatening systemic or generalized hypersensitivity reaction. Most often associated with IgE-dependent allergic reactions. It may also apply to non-allergic hypersensitivity, which course is not associated with the response of immune mechanisms . An anaphylactic shock directlythreat patients’ livesis in the nursing care. It is characterized by a severe and rapid course causing problems in the digestive, respiratory and cardiovascular system. Failure to take prompt and effective steps to save life may result in death . Considering the above fact, the knowledge of algorithms among nursing staffsof hospital emergency departments or medical rescue teams, is a priority. Food allergy is the most common cause of anaphylaxis treated at emergency departments. Large number of allergenic foods was determined, which include, among others: nuts, tomatoes, wheat, and shellfish. Another group includes drug-induced anaphylaxis, which occurs more frequently while taking the correct dose of the drug than in case of an overdose. Non-steroidal anti-inflammatory drugs (NSAIDs) are among the drugs which most commonly cause anaphylaxis, comprising 1.2-4.7% of all reported cases . Strong allergic reactions also occur after B-lactam antibiotics such as penicillins and cephalosporins, and a higher mortality rate was reported after their administration than in case of other drugs . In the elderly, the most common factors causing anaphylactic shock are antihypertensive drugs, angiotensin-converting enzyme (ACE) inhibitors and Hymenoptera venom (Hives, honey bees and hornets) . The presented paper is probably the first attempt worldwide to assess the utility of virtual patient software in the nursing care of a patient in life-threatening condition. The subject of the observation was a 21-year-old woman who called the ambulance station about aggravating respiratory problems. The patient experienced tightness in the chest during a meal. Unconscious consumption of shrimps (which she was allergic to) lead to anaphylaxis. Additionally, during the attempt to use the auto-injector with adrenaline, a woman was bitten by a wasp, which intensified allergy. During the physical examination, medical rescue team found the patient was alert and oriented to person, place, time, and date. With time, they observed a growing anxiety. Peripheral heart rate was weak and thready. The skin was pale, cold and clammy. Slight swelling was observed in the area of the face. The patient reported during the interview that she was allergic to bee venom, shellfish, penicillin and non-steroidal anti-inflammatory drugs. Apart from allergies, there were no other comorbidities. The woman was not on permanent medication. From last year's episode of allergic reaction caused by a bee sting, the patient has an auto-injector with adrenaline prescribed by her doctor. This case is an example of a virtual patient simulation scenario by METI/CAE Healthcare (MUSE, software license MT SFW-80). Muse is a software that reflects both the physiology and pathology of a virtual METI/CARE Healthcare patient. This model operates on the basis of reliable scientific knowledge in the field of pharmacology, physiology, mathematics and biomedical engineering. The study was approved by the Bioethical Commission of the Faculty of Medicine, the University of Rzeszów in Rzeszów (No.5 /09/2016). The study was conducted in accordance with the Declaration of Helsinki. In case of anaphylaxis, the most important is a rapid diagnosis and implementation of a life-saving procedure. Patients suspected of anaphylactic shock require immediate discontinuation of exposure to factors triggering an allergic reaction, the assessment of airways, respiration, cardiovascular system, central nervous system function and exposure (ABCDE scheme) . the airways. The presence / absence of secretions or foreign body in the oral cavity should be checked and then evacuated. Sometimes it is necessary to perform tracheal intubation . In case of dyspnea and coexisting low arterial oxygen saturation, the patient should be immediately given high-flow oxygen monitored with a pulse oximeter . Lack or improper evaluation of airway patency by medical personnel (including nurses) can result in serious health consequences (Fig.1). Rough assessment of airway patency or no assessment at all. Lack of application of direct/ instrumented methods of clearing airway patency. An important action in the context of nursing care of patients with anaphylactic shock is to assess the parameters of the circulatory system (measurement of blood pressure, pulse rate, Capillary Refill Time). Monitoring the patient and performing ECG allows to visualize the possible changes in the heart rate. It is necessary to establish intravenous access, supply crystalloid or colloid, along with ensuring venous blood sample for biochemical and morphological tests . Failure to perform described steps leads to the exacerbation of the patient's condition (Fig. 2). Rough assessment of circulatory system or no assessment at all. Failure to monitor the heart. Confusion. Possible lost of consciousness. A person performing physical examination of the patient should also pay attention to changes in the skin and mucous membranes, such as generalized urticaria, swelling of the lips or tongue . First-line drug in anaphylactic shock is adrenaline. It constricts blood vessels, reduces edema, inhibits the release of histamine, dilates the upper airways and bronchi. Adrenaline is administered intramuscularly (anterolateral area of the 1/3 middle part of the thigh) at a dose of 0.5 mg (children above 12 years of age and adults), 0.3 mg (children aged 6-12 years) and 0.15 mg (children under 6 years). In case the patient's condition does not improve, the dose should be repeated every 5 minutes. Side effects of intramuscular administration of the recommended dose of adrenaline were reported very rarely . The treatment also includes administration of high-flow oxygen (more than 10 l/min) through an oxygen mask with a reservoir bag. If the patient is intubated with coexisting respiratory distress, a bag valve mask is recommended. Fluid intake is recommended due to the increased volume of the vascular bed . The patients with cardiovascular instability are particularly in danger [8,9]. The second-line drugs include antihistamines. They are used mainly in the post-shock phase. They are intended to reduce the biological effects of histamine . Due to the possibility of a two-phase reaction (about 20% of cases), at least 6 hour of observation is recommended after the onset of symptoms of the shock. Before discharge from the hospital, it is reasonable to refer patients with suspected anaphylaxis to a specialist in the field of allergy. This enables the identification of allergens and reduces the risk of subsequent episodes . During the initial examination, the patient showed signs of progressive anaphylaxis, blood pressure 100/50 mm Hg, pulse 90, respiration rate approx. 20, saturation below 90%, fully consciousness). Then, the respiratory failure progressed. The conduct included assisting breathing by means of a bag valve mask with oxygen supplementation. In the last stage of severe anaphylaxis, heart rate was 130 beats per minute, the blood pressure was reduced to 70/40 mm Hg, respiration rate increased to over 20 per minute, the saturation approx. 70%. After the emergency team administered 0.5 mg (Lm) epinephrine, the patient's condition began to improve gradually. Respiratory rate normalized within the limit of 20, saturation increased to 90%. Lung function returned to the level which was not life-threatening to the patient. Anaphylactic shock is a life-threatening condition that develops rapidly, with initial difficulties in breathing until respiratory and circulatory failure. The most common cause of anaphylaxis is food allergy, primarily to products such as: nuts, crustaceans or tomatoes . Such drugs as: non-steroidal anti-inflammatory drugs or some antibiotics also frequently cause anaphylactic shock . Patients in anaphylactic shock require immediate discontinuation of exposure to the agent that triggered the allergic reaction and ABCDE scheme need to be observed, i.e. Airway, Breathing, Circulation, Disability, Exposure [3,6]. It is extremely important to open the airways quickly and in severe cases to perform endotracheal intubation and administer high flow oxygen [6,7]. High fidelity simulations reflect the physiology and pathology of the human body. Virtual reality is used to learn proper behaviors and specific tasks in a given situation. A clinical examination can be conducted on a virtual patient while implementing an adequate algorithm of conduct that in the real situation will allow proper and fast action on the patient in life emergency . The use of a sample virtual patient program allows to analyze every phase of developing anaphylactic shock in a secure manner, which is often impossible due to the rapid and progressive course. Awareness of the consequences of the actions and knowledge of the patterns of conduct in situations of immediate danger to life by nursing staff reduces the risk of mortality, resulting in an increase in quality of care. 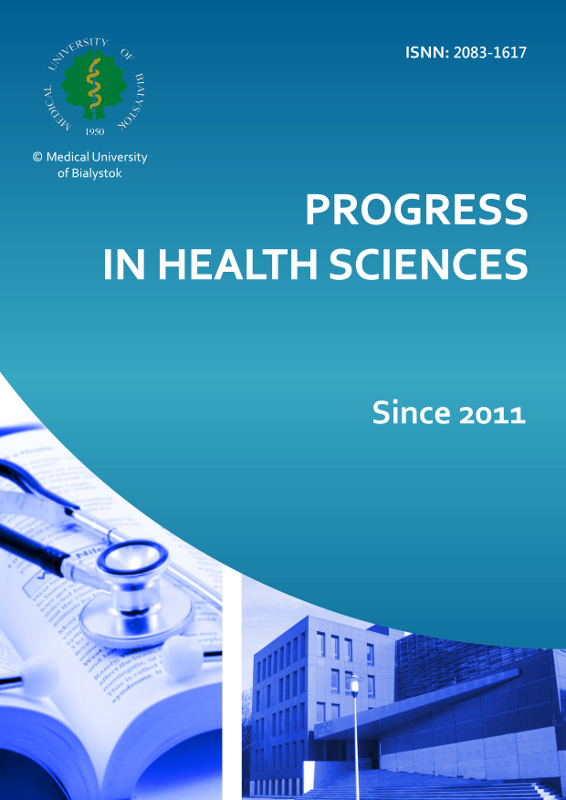 The study was performed within the project 'Centre for Innovative Research in Medical and Natural Sciences' carried out by the University of Rzeszow, co-financed within the Regional Operational Programme for the Podkarpackie Province for the years 2007-2013, contract number UDA-RPPK.01.03.00-18-004/12-00. The authors report no actual or potential conflicts of interests. Lin K, Travlos DV, Wadelin JW, Vlasses PH. Simulation and Introductory Pharmacy Practice Experiences. Am J Pharm Educ 2011 Dec;75(10):209. Vetander M, Helander D, Lindquist C, Hedlin G, Alfvén T, Ostblom E, Nilsson C, Lilja G, Wickman M. Classification of anaphylaxis and utility of the EAACI Taskforce position paper on anaphylaxis in children. Pediatr Allergy Immunol. 2011 Jun;22(4):369-73. Rogala B, Glück J, Rymarczyk B, Brzoza Z, Cichocka-Jarosz E. Anaphylaxis A complex clinical problem. Alerg Astma Immun. 2014; Mar;19(1):3-9. Wölbing F, Fischer J, Köberle M, Kaesler S, Biedermann T. About the role and underlying mechanisms of cofactors in anaphylaxis. Allergy. 2013 Sep;68(9):1085-92. Simons FE, Ardusso LR, Bilò MB, El-Gamal YM, Ledford DK, Ring J, Sanchez-Borges M, Senna GE, Sheikh A, Thong BY, and for the World Allergy Organization. World Allergy Organization Guidelines for the Assessment and Management of Anaphylaxis. World Allergy Organ J 2011 Feb;4(2):13-37. Soar J, Pumphrey R, Cant A, Clarke S, Corbett A, Dawson P, Ewan P, Foëx B, Gabbott D, Griffiths M, Hall J, Harper N, Jewkes F, Maconochie I, Mitchell S, Nasser S, Nolan J, Rylance G, Sheikh A, Unsworth DJ, Warrell D. Emergency treatment of anaphylactic reactions. Guidelines for healthcare providers. Resuscitation 2008 May;77(2):157-69. Campbell RL, Li JT, Nicklas RA, Sadosty AT; Members of the Joint Task Force; Practice Parameter Workgroup. Practice Parameter Emergency department diagnosis and treatment of anaphylaxis: a practice parameter. Ann Allergy Asthma Immunol. 2014 Dec;113(6):599-608.
icritically ill patients. Cochrane Database Syst Rev 2013 Feb;28(2):CD000567. Simons FE, Sheikh A. Anaphylaxis: the acute episode and beyond. BMJ 2013 Feb 12; 346: f602. Caton E, Flynn M. Management of anaphylaxis in the ED: A clinical audit. Int Emerg Nurs. 2013 Jan;21(1):64-70. Cianferoni A, Muraro A. Food-Induced Anaphylaxis. Immunol Allergy Clin North Am 2012;32(1):165-95.